~ Bazaar Great Style ~ The best ways to update your Look! Bazaar Great Style - Best ways to update your look! I love this book so much that I’m not giving it back to my sister Wendy. I find inspiration looking through the pictures of my favorite celebrity’s wearing their everyday fashionable clothing. The sections the Basics and Ultimate Classics are my favorite. However this book offers us a glimpse of famous closets and enduring style. I live in T-shirts, V-neck, crew-neck, dark gray, black or white. I’m constantly buying black cardigans and add dark gray for novelty. The rule for jeans is to only wear nice dark jeans, if you wear faded jeans it’s because they faded on their own, naturally. You add investment pieces, like a great-coat or suit that you can mix and match with everything, its called building a wardrobe around basic classic pieces that stand the test of time. During the summer I switch from Urban to Boho, I collect Mexican peasant blouses and Chinese silk tunics I wear with ballet flats and jeans. I buy silk tunics in solid colors, and blouses I can layer underneath my cashmere cardigans, this adds texture. There are other sections: Office Elegance, Essential Supplies,Classic Accessories, Bag Style, Lingerie Essentials and so much more. I’m in-between Glam, Urban and Boho – after years of making mistakes I finally figured out what works best on me and my body type. 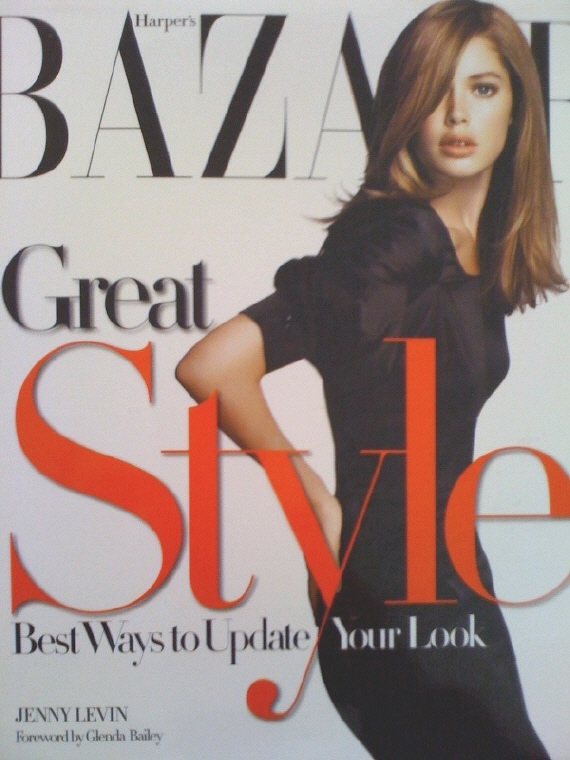 Bazaar Great Style gets a TEN! !